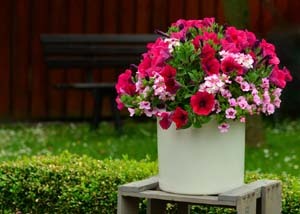 Patty Slobodian, owner of La Greenhouse, a local Carstairs resident, will help you prepare a beautiful deck pot. Patty will help you select your flowers. Join the West Carstairs 4-H Club to hear speaker Jennifer Woods, M.Sc. on Sunday February 25th 1-4:30pm at the Half Century Club in Carstairs. Open to all who work with livestock. – Watering Techniques and much more! – Working with your landscape conditions and much more! Gerard Fournier, Board Certified Master Arborist, Red Sealed Journeyman Landscape Horticulturalists and Tree Risk Assessment Qualified will go through Tree and Shrub Pruning 101- topics will include: Proper tools, when to prune and how to prune your Trees and Shrubs. Hosted by Katelynn Kaiser from Familia Farms- will discuss nutritious veggies and microgreens using sustainable and natural methods. There will be a hands on demonstration and price includes necessary supplies for your first harvest.